Do you want to make a career in banking sector ???? 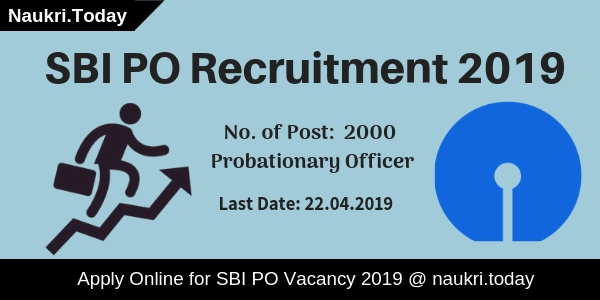 Are you searching SBI PO Recruitment Notification for 2000 Probationary Officers Jobs ??? If yes, then you visit the right place and here is good news for you. State bank of India has recently published recruitment notification for 2000 Probationary Officers Posts. Candidates who are interested and also eligible for SBI PO Jobs may apply through online mode. You can fill online application form either here or official site. The last date of apply online for SBI Probationary Officer Vacancy is 22.04.2019. Furthermore, the information you require to read our full article carefully. भारतीय स्टेट बैंक में प्रोबेशनरी अधिकारियों की भर्ती – State Bank of India PO Online Form is available from 02.4.2019. Interested and eligible candidates can fill the application form to click on below link. Before going to apply for SBI PO Vacancy you must check eligibility criteria, application fees. Selection Procedure, how to apply and others. You also check What is the last date of apply online for SBI Probationary Officer Recruitment. Here we provide all related information. So you must read the given article properly. 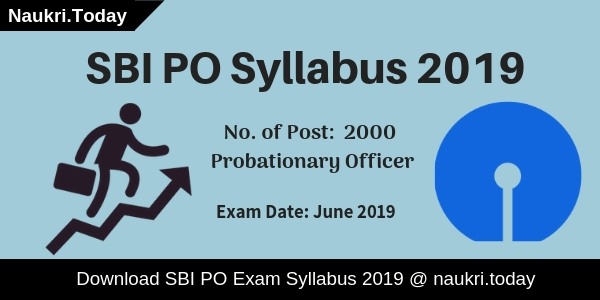 Before applying online for SBI PO Recruitment 2019, applicants must ensure that they are eligible or not.All applicants who are going to fill online form must check given eligibility criteria. It includes details of education qualification, age limit, and others. Candidates who are going to apply for State Bank PO Recruitment must hold Graduation Degree. The Graduation Degree of candidates received from the recognized university. For furthermore information checks SBI PO Notification 2019. The age criteria is made according to 01.04.2019. Candidates should not be less than 21 years, who are applying for SBI PO recruitment 2019. The maximum age is required for 30 years. Maximum age relaxation is also applicable as per govt. norms. Candidates check SBI Probationary Officer Recruitment age relaxation on the below section. All aspirants who want to participate in SBI PO Recruitment 2019 also have to pay an application fee. The application fees once paid is not refundable. General and OBC category candidates need to pay Rs. 600/- towards SBI Probationary Officer Jobs application fees with intimation charges. 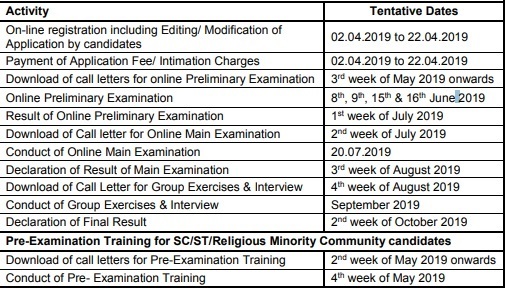 Applicants who are belonging to SC/ST Category require paying Rs. 100/- as only intimation charges. Fees of State Bank PO Bharti will be paid through online mode only. Furthermore check official notification, which is available in the below section. If you are selected for SBI PO Vacancy, you will receive an attractive salary from the department. The starting basic salary is Rs. 27620/- (with 4 advances increments) in the scale of Rs. 23700-980/7-30560-1145/2-32850-1310/7-42020/-. Furthermore, information check SBI PO Notification 2019. Applicants Selection For SBI PO Recruitment 2019 will be made in three phases. Pre Exam, Main Exam, Group Exercises and Interview. First Probationary Officers Preliminary examination is organized for selection in Main examination. After that main examination qualified candidates will be called for Group Exercise & Interview. Final selection made for SBI Probationary Officer Recruitment marks obtained in Mains examination and GE & Interview. Furthermore, details you can collect from SBI PO Exam Syllabus 2019. Applicants who want to make the career in SBI and interested & eligible for SBI Probationary Officer Jobs can apply online only. The online application form of State Bank of India PO Vacancy is available here or official site. If you are going to fill the online form must keep valid mobile no., email id and scan copy of photo and signature. After that, you can follow given instructions to apply online for SBI PO Jobs. First of all, go to SBI official site sbi.co.in. After that go to SBI Career segment. Download State Bank Probationary Officer Recruitment Notification 2019. Read it carefully and then go to apply online link. Click on the link of SBI PO Recruitment 2019 Apply Online. Enter all required information on the online form. Submit your State Bank of India Probationary Officer Vacancy online form. You can directly apply online to click on below link. Conclusion : State Bank of India has announced an advertisement for SBI PO Recruitment 2019. The notification is raised for filling up 2000 Probationary Officers Posts. 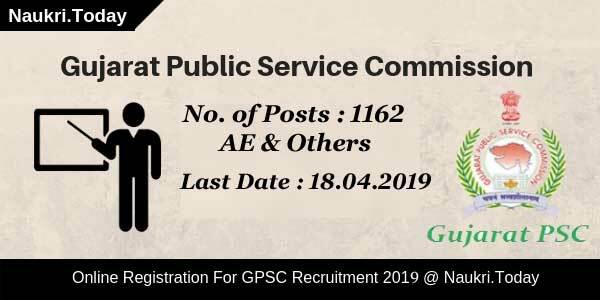 The online registration of State Bank PO Vacancy is available from 02.04.2019 till the last date which is 22.04.2019. Furthermore, details read given above article carefully.